Jetski Safaris is an RYA training centre based in Poole Harbour on the UK's South Coast which offers a range of RYA Powerboat Training, RYA Jet ski Training and RYA Shorebased courses. Jetski Safaris has one of the UK's Largest and newest fleet of Personal Watercraft, several RIBs and a full time team of experienced and friendly RYA Instructors. 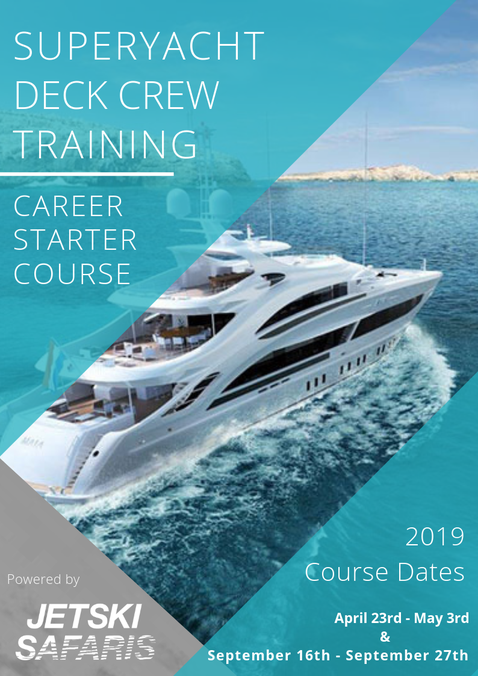 As a Centre we have 11 years experience running over 50 Courses per season both from our centre in the UK and onboard SuperYachts. Please browse our Website for further details on Training Courses and if you still have questions please don't hesitate to contact us and one of our team would be happy to discuss your requirements. Do I need a licence to Jet Ski or Powerboat in the UK? Whilst at this stage many places in the UK do not require a Jet Ski licence / Powerboat licence, we would always recommend attending some form of RYA Training to build up skill and competence levels. Even though this is the current status in the UK, Jet Ski Laws in foreign countries can be much stricter. If your planning to use a Jet Ski or Powerboat aboard please contact one of our team for advice.